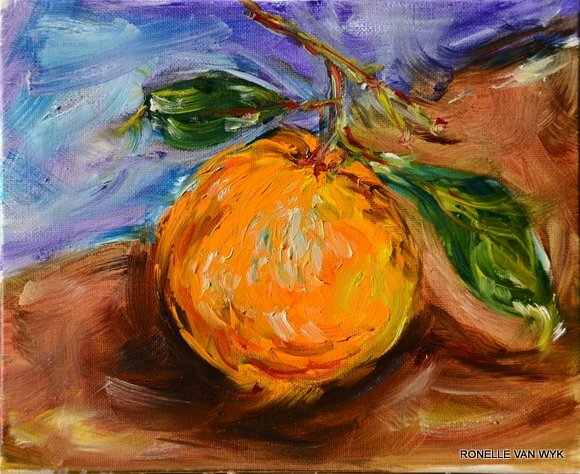 Oil painting: Three lemons in white bowl. Three lemons in a white bowl. 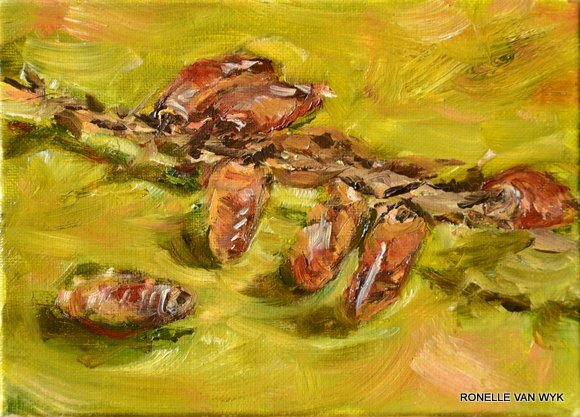 An orange, a branch of dates and a fennel bulb in oil. Our weather has suddenly changed from grey and rainy days into explosions of sunshine. Of course it makes me want to go into the fields for plein air painting. But I am restraining myself and keeping to my goal and project for February. 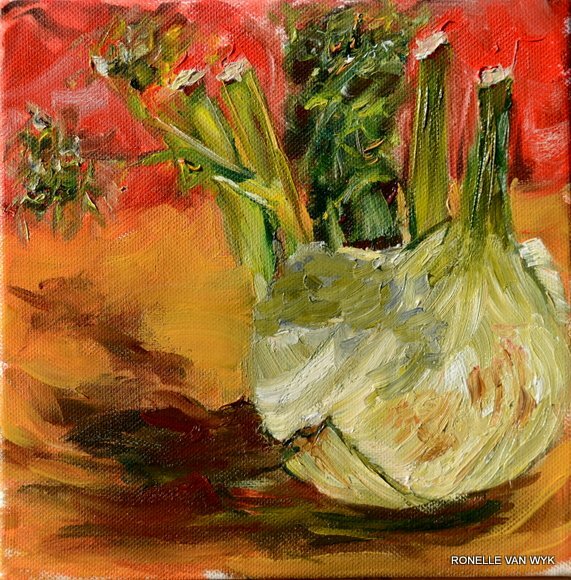 Fruit and vegetable practicing in oils. I have had quite a few bloopers, but then there was/is also the successes, however small they may be. And of course, the process. Always the process. I love pushing oils around on the canvas and as it turns out, I even enjoy doing it in still lifes. I love the liveliness of a brush stoke, the vibrancy of contrasting colour, the depth of values, the brilliance of the oils. I love it all. à bientôt with more fruit paintings in oil.. This blog with all its content is under copyright. Coin Perdu, a mountain home.